Travel writer Dave Fox discusses everyday life as an American in Saigon, then British actor David Suchet explains why this year's 500-year anniversary of the Protestant Reformation is so important — and why London is the world's best city for theater. Plus, listeners get Rick's advice for making the most of their European travel plans for 2017. Dave Fox's Globejotting website. includes travel writing tips. Dave Fox leads tours in Vietnam for Wildland Adventures from his home base in Ho Chi Minh City. Pho is a popular Vietnamese-style soup. Actor David Suchet narrates a documentary about Martin Luther and the history of the Protestant Reformation called "This Changed Everything," which is showing on some public TV stations this year. He also traveled to the Middle East and Rome to film "In the Footsteps of Saint Paul" and "In the Footsteps of Saint Peter." 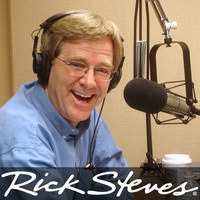 Rick's one hour TV special on the anniversary of the Reformation is called "Rick Steves' Luther and the Reformation." Rick also highlights historic sights associated with the Reformation in Germany in the "Hamburg and the Luther Trail" episode of "Rick Steves' Europe." David Suchet's narration of the New International Version of the Bible comes to 80 hours. David may be best known for starring as Agatha Christie's detective Poirot for 25 years on TV. The Isle of Harris in the Outer Hebrides of Scotland, is David Suchet's favorite inspiring getaway in Britain.